Plants are beautiful, but their close cousin ‘the weed’ is an annoying eye sore that can seem impossible to demolish and get rid of for good. It can start to feel like you are pulling out weeds all of the time, only to see more rapidly grow back in its place. So what are you to do, or rather how do you stop weeds from growing between pavers for good? 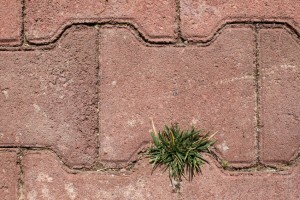 People often assume that weeds grow from beneath pavers, and as a result it is not uncommon for one to request installing a weed mat beneath pavers. Unfortunately, it’s not that simple. Around 99% of the time weeds grow between pavers thanks to seeds being blown around your yard from other weeds growing nearby. If you have a major issue with weeds growing between pavers chances are your pavers are located in close proximity to a lot of weeds somewhere else in your yard. If your yard is weed-free it might be your neighbor’s yard causing the issue. There are certain types of weeds that are very prominent and when they get the chance to start spreading they don’t stop, take crabgrass for instance. This is why you want to move quickly so that weeds don’t have time to get out of control. Properly installed pavers will make it less likely for weeds to grow out of control, but that doesn’t mean weeds will never grow. Installing pavers on a slant is one way to help reduce the likelihood your pavers explode with an uncontrollable amount of weeds. If water regularly just sits on your pavers weeds are more likely to grow because they thrive in cool, damp environments. Adding a slope beneath pavers helps water drain off and wash away. There is always the chance weeds will grow between pavers, and so the question is how can you safely kill these weeds without damaging your pavers? Many people turn to products like Bleach and Round Up, but these are both highly toxic and bad for the environment, plus they may discolor your pavers. White vinegar is strong, non-toxic and much more suited to the task of killing weeds between pavers. Start using a small test spot of vinegar just to make sure it does not discolor your pavers in any way. Vinegar is almost always harmless to pavers but since it does contain a small amount of acid it’s always best to be safe and start small. Spray a small test area with vinegar and then wait a few hours before rinsing off. If the pavers remain the same color you are good to go and may use the white vinegar to kill all weeds growing between pavers. Spray generously, let sit for a few hours and then rinse. The next step is removing dead weeds from between pavers. Using a pressure washer for this step is ideal because it cleans the pavers while simultaneously removing weeds. A rotating surface cleaner attachment for the pressure washer works great. You can rent your own pressure washer and rotating cleaner for around $100 a day, or you can hire a professional to do the job right without any stress on your part. It’s not as easy as it may seem. If you use the pressure washer jet nozzle you risk damaging your pavers and cutting grooves into the surface. 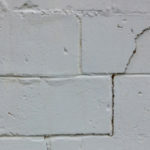 Keep the nozzle a good 12 inches away from the pavers as you spray between the joints. 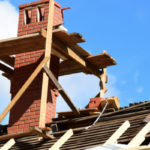 By properly (and gently) blasting the joints you will be able to remove stubborn weeds as well as dirt and soot buildup. 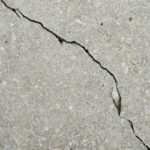 Don’t overdo it, the joints have a layer of dirt beneath them that you don’t want to blast out, if you continue to apply pressure once weeds and surface dirt are gone you risk serious damage. How Do You Keep Weeds From Growing Back? Once you have spent the time and money getting rid of weeds between pavers you want to keep them from growing right back. In all honesty, if you finish the job and move on with life they will grow back. -Regularly sweep patio to remove seedlings that blow in from elsewhere before they have a chance to embed and sprout. -Regularly pour boiling water or white vinegar between pavers in order to kill any weeds starting to grow. -Turn to properly installed paving soil between pavers in order to make it much more difficult for weeds to grow. -Be on the lookout for weeds and pull them out by the root as soon as you notice them. Controlling growth as it occurs will prevent a major overgrowth from taking your pavers hostage. 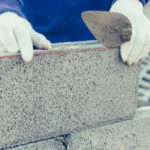 Turnbull Masonry will make your pavers look like new in no time! Call us today for the best service in town at competitive prices you can rely on.